Chris Kennedy is a former naval aviator and elementary school principal who has become a bestselling Science Fiction/Fantasy author, speaker, and publisher. His stories include the Theogony and Codex Regius trilogies and stories in the Four Horsemen military/scifi series. In this episode we talk about how it all began with Occupied Seattle and highlight the other works as well. 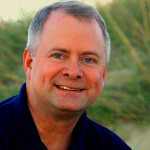 Working from Virginia Beach, VA, Chris is also the author of the award-winning #1 bestseller, “Self-Publishing for Profit: How to Get Your Book Out of Your Head and Into the Stores” and he has helped hundreds of beginning authors and budding novelists in their efforts to self-publish their stories.. Listen to “Chris Kennedy – OCCUPIED SEATTLE” on Spreaker.